It shows BFR's new design, as well. SpaceX chief Elon Musk has tweeted two photos that give us a peek into the company's Martian dreams. One of the images shows the BFR, the massive rocket SpaceX is developing for deep space missions, while the other shows the BFR and what he called "Mars Base Alpha." It's no secret that the private space corporation wants to build a human settlement on the red planet. Back in 2017, it announced its plans to launch two BFR cargo missions to Mars by 2022 to prepare for the arrival of the first Martian settlers by 2024. Before any of that can happen, though, SpaceX has to be able to start testing its BFR system in the first half of 2019. SpaceX also intends to use the BFR to build a base on the moon and for return trips to and from our planet's loyal companion. The company showed off its Moon Base Alpha and Mars City concepts on Instagram back in 2017. 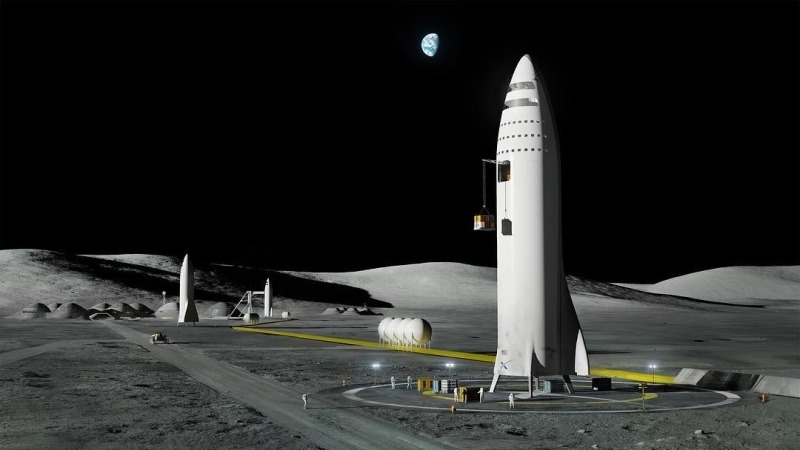 Both posts had been removed, but the moon base image showed a different BFR design than the one in the Mars base photo, since SpaceX updated the rocket's looks and components this year to add bigger fins. We have a long wait ahead to see if the actual bases turn out anything like their concepts. Musk said it'll probably take the company until 2028 to build a base, but take note that the CEO's timelines tend to be optimistic.